There are chocolate cakes and then there is the one pictured above. I think the above picture of the cake is really doing justice and conveying how moist and super spongy it turned out. Sheer heaven on earth. This is a cake that is supposed to make even staunch vanilla cake lovers switch side to the dark side..of...chocolate. Case in point being yours truly and also my friend who is a fresh convert after having tasted it last night. It is a chocolate lovers fantasy that turns out right every single time and is guaranteed to make your receive compliments galore. 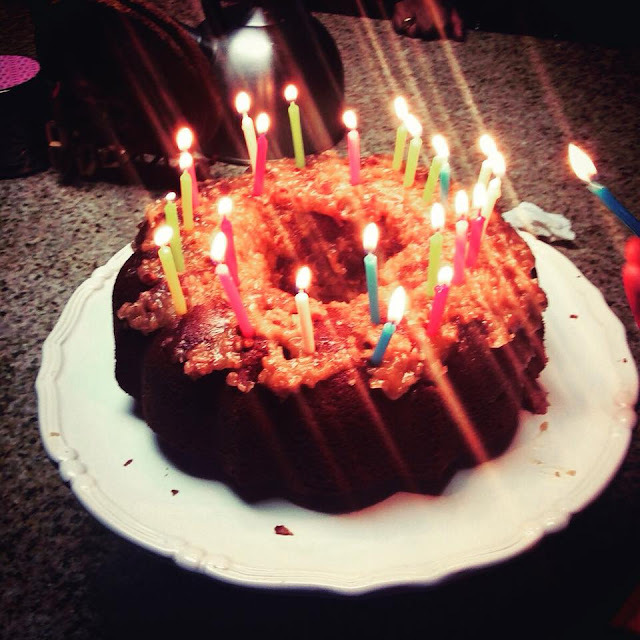 I normally bake this one for birthdays or when the chocolate craving hits any member of my family. 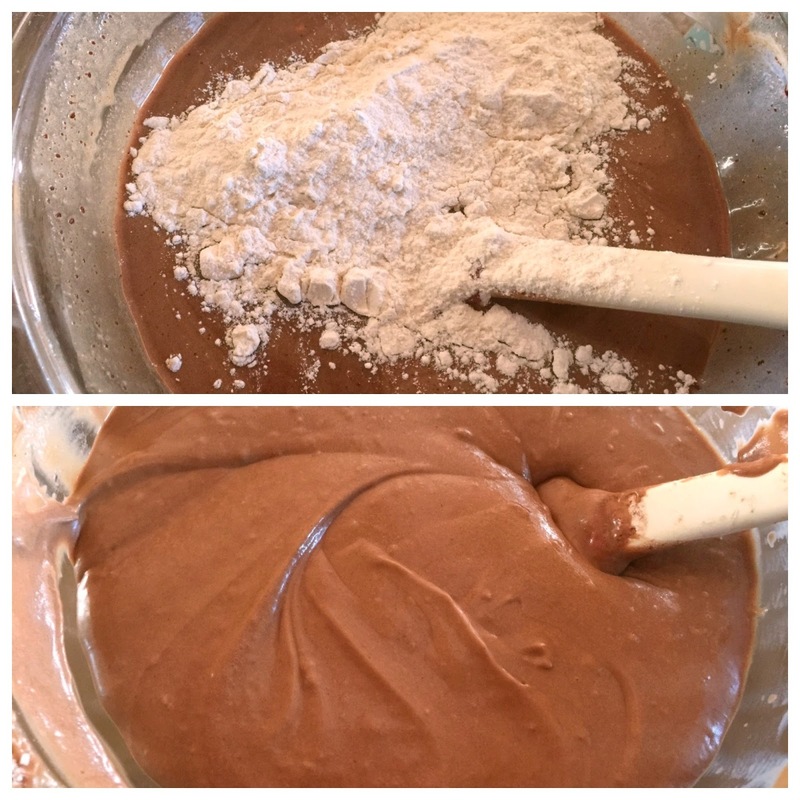 it is a fairly simple bake and relies upon the richness of real baking chocolate rather than cocoa powder. Any good semi-sweet baking chocolate with cacao percentage of around 60% should do for the recipe. Addition of sour cream as well ensures that the end product is super moist and decadent.The only thing to be borne in mind is to serve it warm and preferable with a genial beverage like tea or coffee. Here is a pic of the book which is the recipe source for the cake. It features many other delightful chocolate recipes which might serve as inspiration for my future bakes.I picked it up last year at our local library book sale and it now occupies the distinction of being the chosen few books displayed on one of my kitchen counters. From time to time, it beckons me for a look and I sometimes oblige which then results in a chocolate bake mostly the above pictured. Vintage baking books are the best and I am glad that I found this treasure. 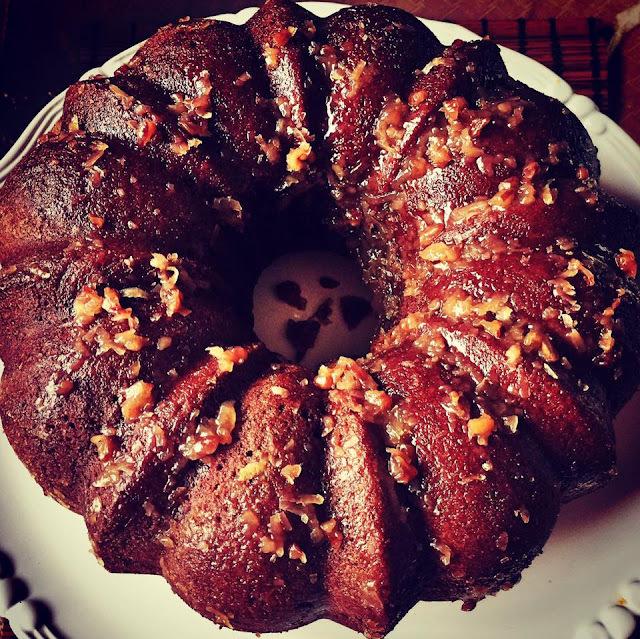 Preheat the oven to 350 degrees F and grease as well as flour a bundt cake pan. If you do not have one or simply prefer a layer cake, use two 9 inch round pans. 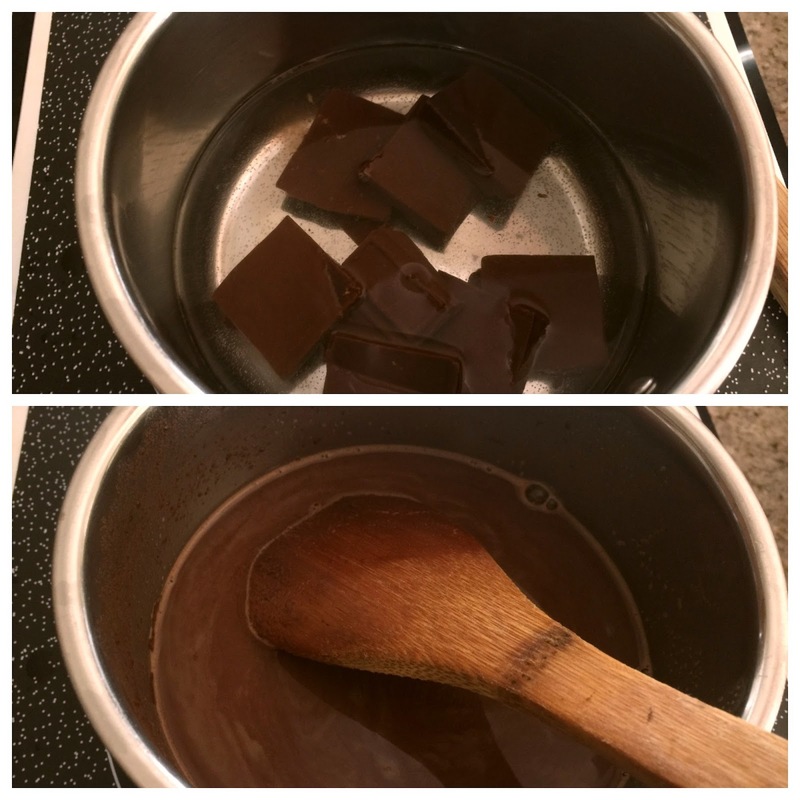 Combine chocolate and hot water in a small saucepan, place over low heat, stirring until chocolate melts.Remove from heat, and set aside. 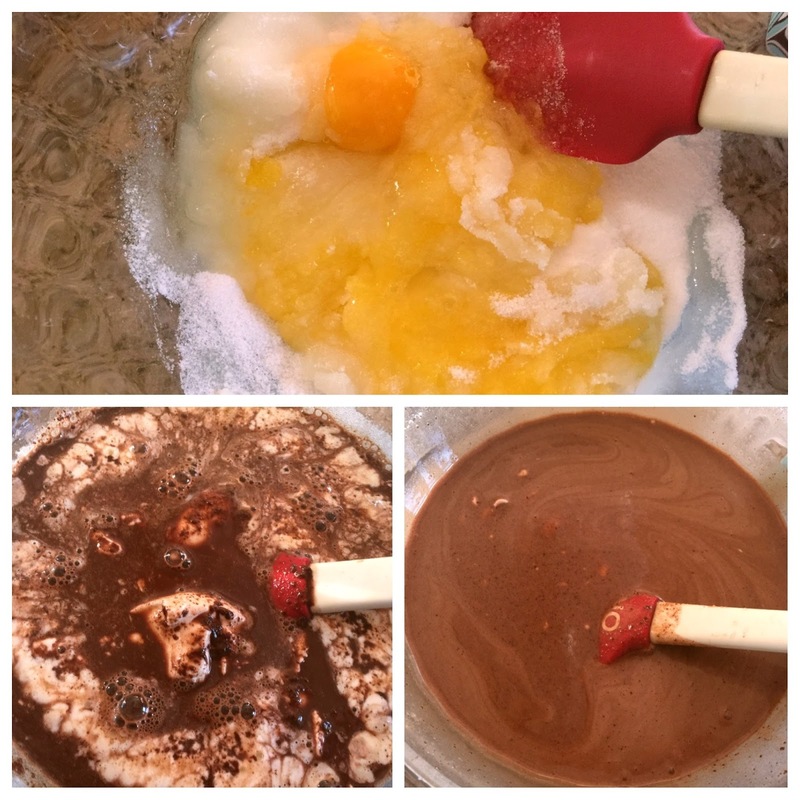 Combine eggs and sugar in a medium mixing bowl, mixing well; add sour cream, chocolate mixture, and vanilla. Mix well. Combine flour, soda, and salt; gradually add to chocolate mixture, mixing well. Pour into the already greased bundt pan. Bake for close to an hour or until a wooden pick inserted in the center comes out clean. Spread the frosting over the top and serve.